Sapa is a colourful and charming town in northern Vietnam and continues to attract more tourists every year. This mountainous town is able to attract its visitors based on its natural beauty. 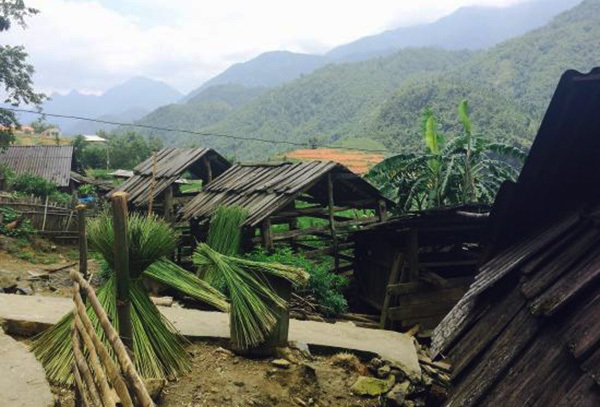 The tours in Sapa are a perfect destination for those that love to get involved in treks and include great panoramic views of the local surroundings that include the tiny hill tribe villages and cascading rice terraces. Sapa is a mountainous town in Northern Vietnam where you write poem, have your cameras on for most of your time, cheer over a community wine pot. Getting the practical Sapa Vietnam travel guide in three days, you will get the awesome feeling. August to December is the ideal time to visit Sapa as skies are more likely to be clear. As a result, the weather is warmer, and sometimes you can’t beat a nice summer rain for atmosphere showers are typically brief, but it pours in buckets. Winter can be cold, foggy and rainy, but every three or four days, the weather clears and the views are more gorgeous than they are any other time of year. Within a short walking distance of the center of town, Cat Cat village is one of the most popular attractions for tourists. 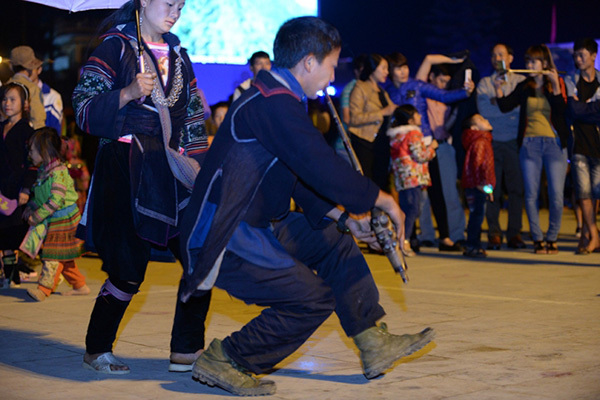 The village dates back to the 19th century and was established by ethnic families, such as the Black H’mong in this mountainous region. A visit to this village gives a perfect opportunity to admire the quiet scenes of the local community going about their day-to-day life. Plus, this village is also known for its tradition of creating silver and gold jewellery. In addition to getting a glimpse of the local ethnic people going about their daily life, it is also possible to get involved with some of the traditional activities including fabric weaving. Plus, this is a great time to shop for traditional handicrafts and souvenirs from the local craftsmen. Continuously, A suspension bridge will lead you uphill to Y Linh Ho village, which is a small commune composed of many small hamlets scattering on the very tough mountain terrain with high and steep mountains. Black H’mong lives in Y Linh Ho village. They wear the dark clothing and navy dyed with indigo which often seen in the hands of older H’mong women. Their houses are built on the farmland. As a result, the only way to get to the village is on foot on the road. Ta Phin Village is one of the destinations in Sapa Vietnam travel guide, approximately 17 kilometres to the west of the town of Sapa and home to the H’mong and Red Dao minorities that have been living in close proximity for hundreds of years while still being able to retain their unique cultures and traditions. By strolling around the village, it is possible to view the hill tribe houses, mountings and rice fields, as well as to understand the differences with the unique tribal communities. Additionally, in the Ta Phin Village, the tourist can shop for the locally made and distinctive brocades. Note: It is too touristy now in Ta Phin and tourists are disturbed by Re Dao ladies who follow you wherever you go to sell their brocades. our advice is not to book the tour to this village. You continue walking cross a bamboo forest to Giang Ta Chai. 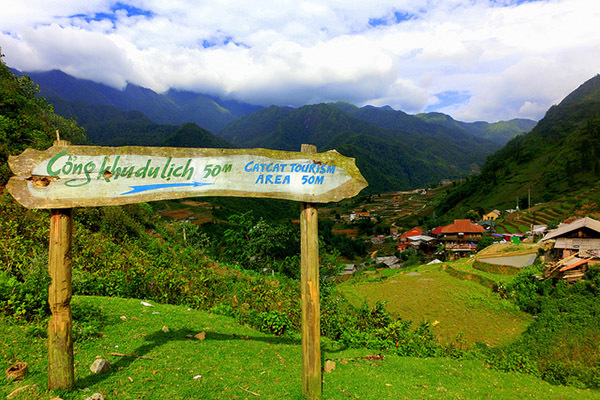 This village is one of the best trekking in Sapa where is home to a Red Dao ethnic minority village. Giang Ta Chai is known as a home of H’mong local people then you can know how they make their clothing. They typically weave and embroider the fabric themselves. Their many crafts, their embroidery is stunning. You will grace a superb view of mountain and rice paddy fields of Muong Hoa Valley. Muong Hoa valley is famous for lots of colorful flowers. Silver fall offers stunning views of surrounding mountains and lush forests belonging to Hoang Lien National Park. You will start climbing uphill to a road. Bac Ha market is located about 76 kilometers from the train station on Sunday. This market organized in every Sunday which is famous for the originality and authenticity that the traders still preserve. They provide several items such as handicrafts, food, home tools and blacksmith. Each has its own trait and worth joining. It is not simply a place for buy and sell but also an opportunity for people from different ethnicities to come and meet. Almost women offer their beautiful handmade traditional costumes and even for youngsters to find their dates. It is worth investing in the road is curvy and challenging, even after significant improvement. 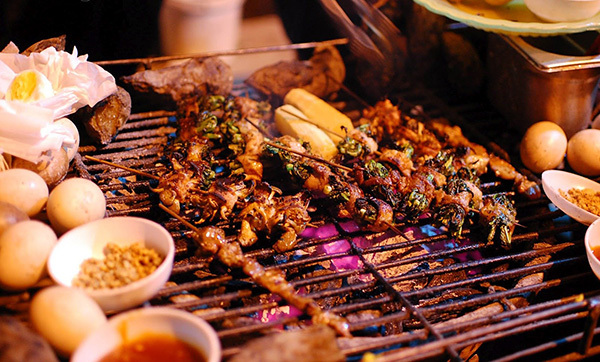 Sapa’s specialties are another reason attracting more and more tourists traveling to this town. Because the weather in Sapa is very suitable to be grown, therefore, many subtropical vegetables are provided by local people such as white cauliflower, red beet, or chayote are planted here. There are dishes of “long cap nach”, which are home to pigs but are raised in the field or forest. Additionally, you should try another food which is made from grill corn, sweet potatoes, dumpling, bamboo-tube rice, or even eggs as well. It is called “thang co”- horse meat right. There are many restaurants around the center of Sapa, you can be convenient to call the suitable tastes and these are the very reasonable price. Vietnamese is the official language of Vietnam. About 10% of the people can speak fluent English, mostly for business purposes. Especially, in traveling area, the local people can say the English language very simple. However, not all people can speak English so learning a few basic Vietnamese words and phrases is recommended. Vietnam uses the Vietnamese Dong. In the travel region, there are many stores helping you exchange the money. International credit cards are widely accepted in upscale establishments but keep in mind that most small businesses, especially stores and restaurants may not accept them. If you plan to withdraw cash in Sapa, you can ask your guide tour or ask the local people the ATM case around Sapa town. Sapa is a safe town to travel in. Of course, you will have a trouble, the scam is the most common problem in tourists’ areas and remains the number. So you can worry about this problem. Although scam is not as common as the incidence in major cities, you will make the safe. You have to say no to them if you don’t plan to buy, otherwise, they will follow you until you purchase something. Do your research, keep all your wits about you and always ask for personal recommendations from other travelers. You have some troubles in the transportation to transfer between places. Getting around in Sapa is fairly easy. The town is quite small so you should walk around Sapa town. Public transportation is easy to get used to and is budget friendly. Motorcycle taxi is one of the most famous ways to get other places. If you worry about the missed way, you should carry a map or set up the app on your phone. If you prefer this mode of transport, make sure to ask your hotel receptionist for estimates. Sapa Town is the most famous jumping-off point for trekking the Muong Hoa Valley, Fan Xi Pang peak and other tiny hill-tribe villages. 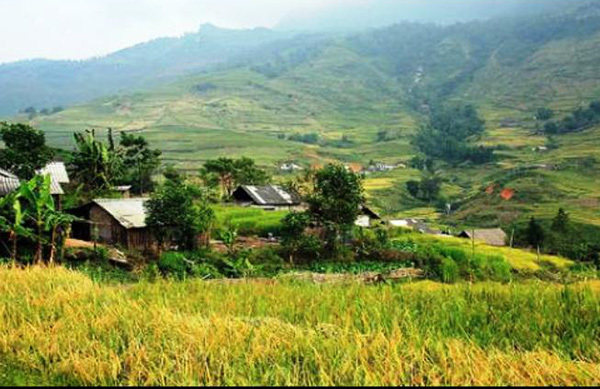 If this is the first time you come to Sapa, one suggestion for you is to hire a Vietnamese trekking guide from a reputable travel agency. The permit is most likely included in the tour package. There are many types of accommodation in Northwestern Vietnam such as luxury hotel, resort, guest house, and real homestay. If you choose the first option like a luxury hotel, you will pay more fee and receive the best service room and a luxury menu. This area provides easy access to most attractions, hotel options, restaurants, shops and travel agencies. If you would like to gain more experience, you should stay in the host local. Not only that homestays will help you save more money, it’s also the best way to learn the local cultures and customs. How to Travel to Sapa from Hanoi? How to Travel from Hanoi to Sapa?